Google.com redirects to local Google country specific domain, depending on the country you are located. For example in India Google.com redirects to Google.co.in – in China Google.con redirects to Google.cn – similarly it redirects in other countries. 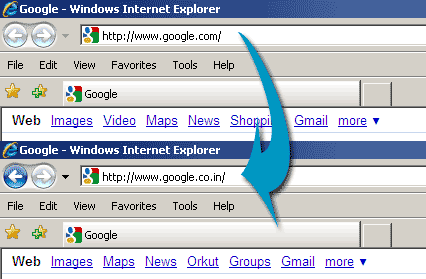 Do you want to disable this redirection and use Google.com for search queries? Simpler solution: type duckduckgo.com into your address bar. You’ll never again have to put up with the crapfest that is Google’s advertising-driven search engine that thinks it knows better than you do what it is you want to search for. I need help, for a week now I have been trying to get Google back, somehow I lost my tool bar, my favorites and search method, I have nothing pretty much, can someone tell me how to get it all back? Desperate!